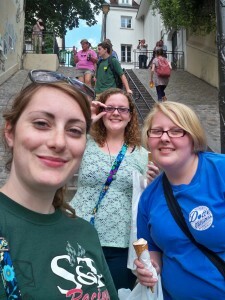 The month I spent in Europe was everything I expected it to be and more! While from the start I knew my trip was going to be an adventure I never could have guessed the impact that it had on my life. While preparing for the trip I was terribly excited and also quite terrified. This was my first time leaving the country and I didn’t know what to expect. In all my years of foreign languages classes we have talked about differences in culture and the concept of culture shock but I realized it was something better experienced that simply speculated. 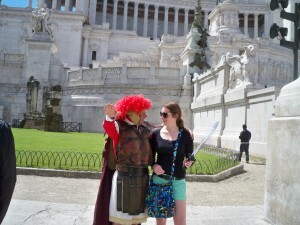 When Claire and I decided to make our first stop Rome my fear was amplified but so was my excitement. We knew Rome was going to be a culture shock! And it was! The Italian people did not understand us. At first I found myself wanting to talk to them like you would to someone hard of hearing. Speak louder and more clearly. This method did not work. 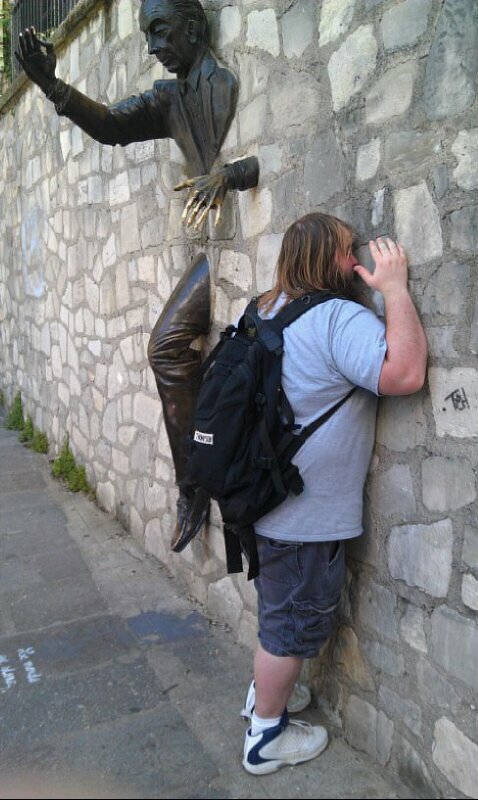 Luckily we managed to navigate Rome and communicate enough to enjoy our visit. 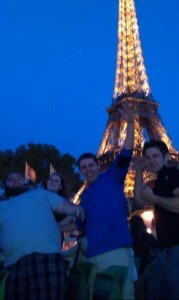 My month in Europe gave me a lot of confidence. All of the challenges I was able to overcome really amazed me. I have never felt so independent. As crazy or cliché as it may sound this trip really helped me to understand just exactly what I am capable of achieving. I feel empowered. I am very grateful that I had the opportunity to spend the time I spent abroad. I tried new things. I met new people. I went outside my comfort zone. I experienced life like I never had before. Literally every day was something new and exciting. This was a great trip. On June 12, we visited the US cemetery at Normandy, which is located behind the Omaha Beach invasion site. It was a very surreal moment seeing all of the white crosses and Stars of David all lined up. The gravestones are lined up so that they are always in a row no matter which way you are facing them. If you view them from the side, at an angle, or straight ahead they will always line up with the ones following it. This is not unusual for an American military cemetery. Anyone who has been to Arlington National Cemetery will find that the gravestones line up exactly like the ones at Arlington. The area where the cemetery is located is very beautiful, especially with the ocean in the background. Located in the center of the cemetery is a chapel. It is not a place to sit down and have service, but it is a place to visit that honors the sacrifices of these men no matter what religion they may have been. 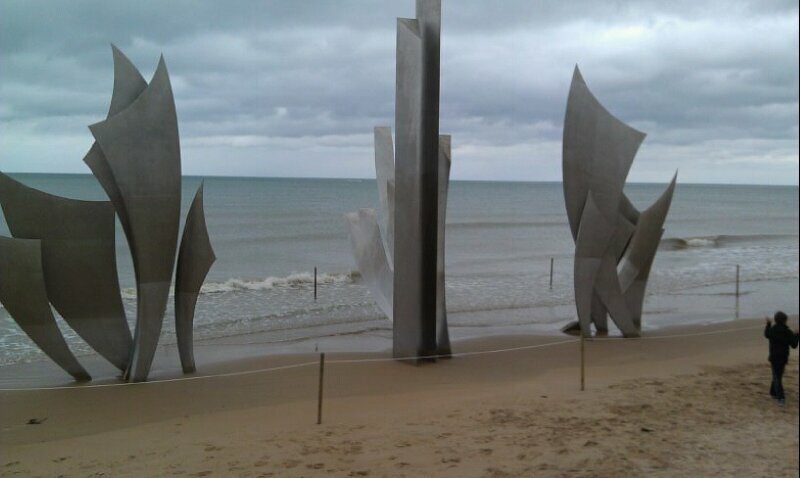 At the front of the cemetery there is a giant monument dedicated to the Normandy invasion and the European theater on either side of the walls. 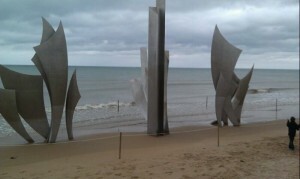 Just behind this monument is a wall with all of the men still missing from the landings at Normandy. Many people come to visit the cemetery every year. The people who visit are not just Americans, but they come from all over the world to honor these brave men who gave their lives for freedom. One of the most visited sites at the cemetery is the grave of Theodore Roosevelt, Jr. 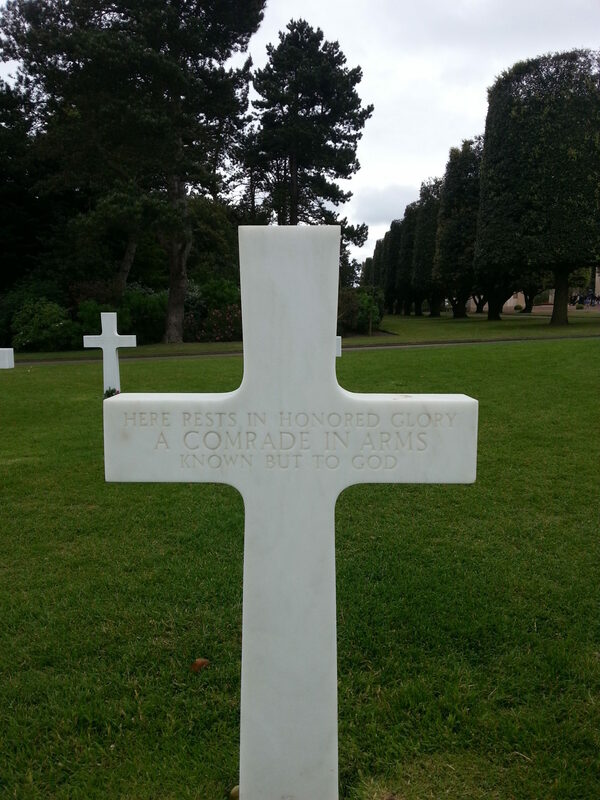 He is buried alongside his brother Quentin Roosevelt, who was killed during World War I. His grave and his brother’s grave are roped off from the public to help keep them intact. Otherwise the grass around them would be destroyed due to the high foot traffic. The whole experience at the cemetery was sad. There were so many graves (around 9,000). 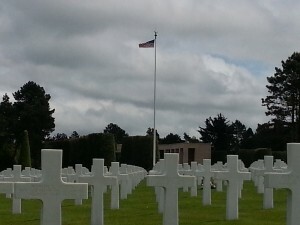 Not all of them are from the Normandy landings. 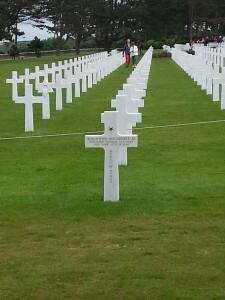 Some are from other locations during the fighting in the Normandy area following the landings. Many of the families had their relatives sent back home once they had fallen in battle, so the cemetery is not as big as it would be if all of the men who had fallen were still buried there. 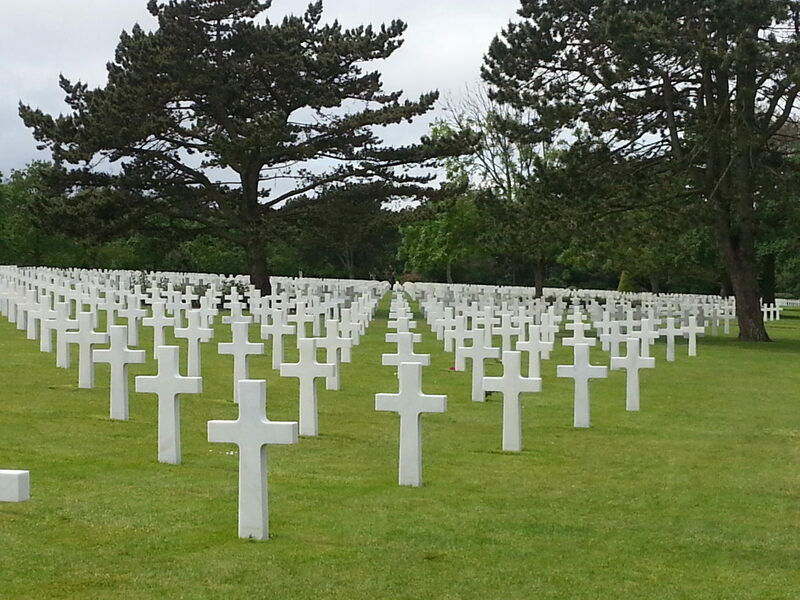 Any American who is in Europe needs to go and see the cemetery because these men not only gave their lives for them, but for the people of Europe too. They need to be remembered and honored by not just the Americans, but by the people of the world. 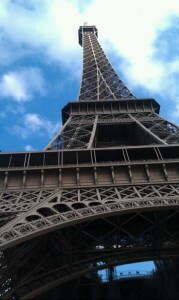 I was not sure exactly what to expect upon leaving Gare de l’Est Wednesday morning. However, after our morning activities and our break had passed, I found myself with the group at a particular monument next to the Eiffel Tower. The monument was erected in memory of the disturbing events that occurred in July 1942. This event was known as the Vel d’Hiv Roundup. 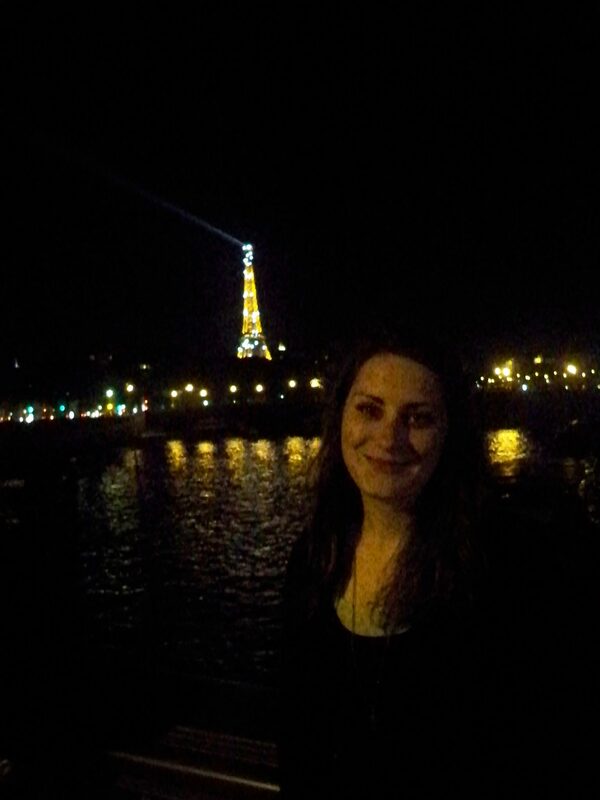 I soon learned from listening to Stephani’s excellent expert assignment and also by doing my own research that between July 16-17, 1942 over 12,000 Jewish men, women, and children were defenselessly arrested and taken from their homes in Paris and other parts of France. These people were brought to police stations and perhaps the most disturbing thing was that it wasn’t even the Nazis that were arresting the Jews in France, but the French police. The Vichy government was very much influenced by the German leaders, and was forced to co-operate with the orders that would come from Berlin in order to maintain what sovereignty it could manage to keep. After the war, the roundup became known as a symbol of French guilt and shameful compliance in the Holocaust. The terrible conditions the many victims faced in the camps they were later taken to were far too terrible for most people to even attempt to grasp, in terms of the lack of food, filthy water, and no place for them to go the bathroom. The prisoners were treated worse than POWs in most camps. The artistry that is portrayed by the monument does an excellent job of illustrating such an atrocity, to the maximum extent that a monument can portray. The artist portrayed the victims as all appearing as if they are all in a state of disarray, including a woman holding suffering children, and one laying down on a suitcase, which I believe symbolized how they were all forced to leave their homes with almost no time to pack, and the exhaustion experienced by all. The faces of the individuals on the monument represent all the victims of the Vel d’Hiv Roundup as a collective whole. Below the monument, there is a plaque, and part of it reads “We will never forget.” I find France’s history to still be extremely prevalently embedded into its citizens’ memories even to present day, and feel like this quote is both very appropriate and symbolic of the French culture today.